Teeny Titans 2 recently got a new update that added the Hall of Doom, which allows players to play against each other in multiplayer matches. It also adds new missions, and one of those is called Riddle Me This. You get it from the Riddler and have to track down figures or NPCs based on his clues. This guide will help you solve each riddle so you can get the prizes. Q: My hair is yellow, I’m not a plane. One of me you must obtain. A: Buy a Supergirl fig. Q: Ner or far, what’s the diff, I’ll get the job done in a jiff! A: Just visit the taxi guy. Q: All natural is my attire, one of me you must acquire. A: Buy a Swamp Thing fig. Q: Once I lived a life sublime, but now I’m sleeping all the time. A: Head to the graveyard in Gotham City and look for a spot that’s sparkling. Tap on it to complete this part of the mission. Q: Truly a monument to the best, I’ll never lose a staring contest. A: Head to Metropolis and find the statue of Superman. Tap on it and the Riddler will appear and give you a Riddler fig! Congratulations! You completed the mission! 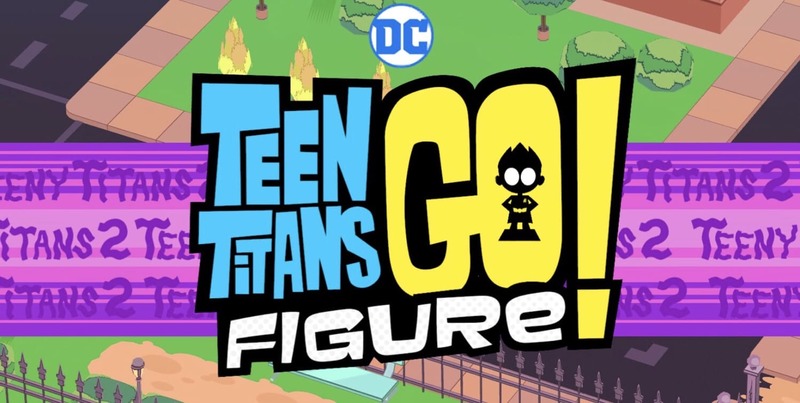 Question: How do I invite people to my Buddy/Friends list in Teeny Titans 2: Go figure? I think you need their code, but I don’t know how to see other peoples (mine is 5DLF-FZX0-H52H).